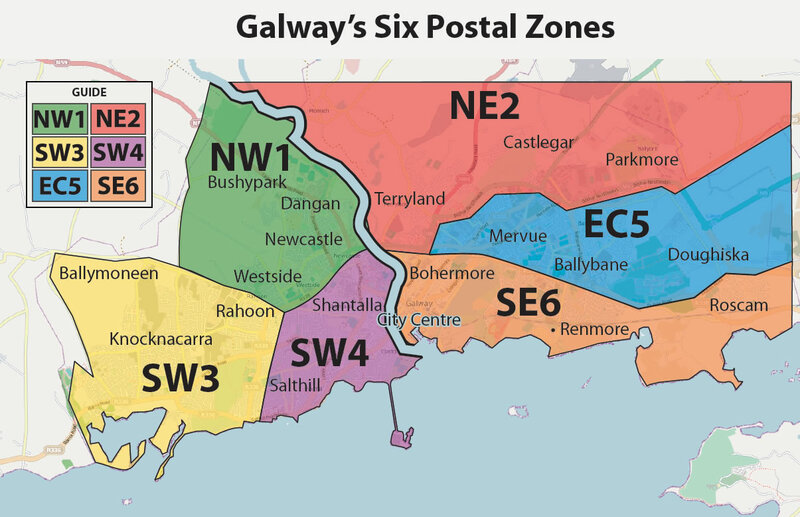 Galway is simply divided into six separate colour coded zones numbered 1 to 6 – NW1, NE2, SW3, SW4, EC5 and SE6. 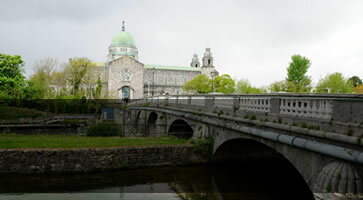 The River Corrib, like the Thames in London, neatly divides the city into east and west respectively. Roads then provide the means to subdivide the east and west section into three separate postal zones. For example, Galway City West is divided into NW1 ( North-West 1 ) ,SW3 ( South-West 3 ) and SW4 (South-West 4). Galway City East is divided into NE2 (North-East 2), EC5 (East-Central 5) and SE6 ( South-East 6 ).